The Academy of Fine Arts is an academy that concentrates on education in contemporary arts. The students graduate with a Bachelor’s, Master’s or a Doctorate degree in Fine Arts. 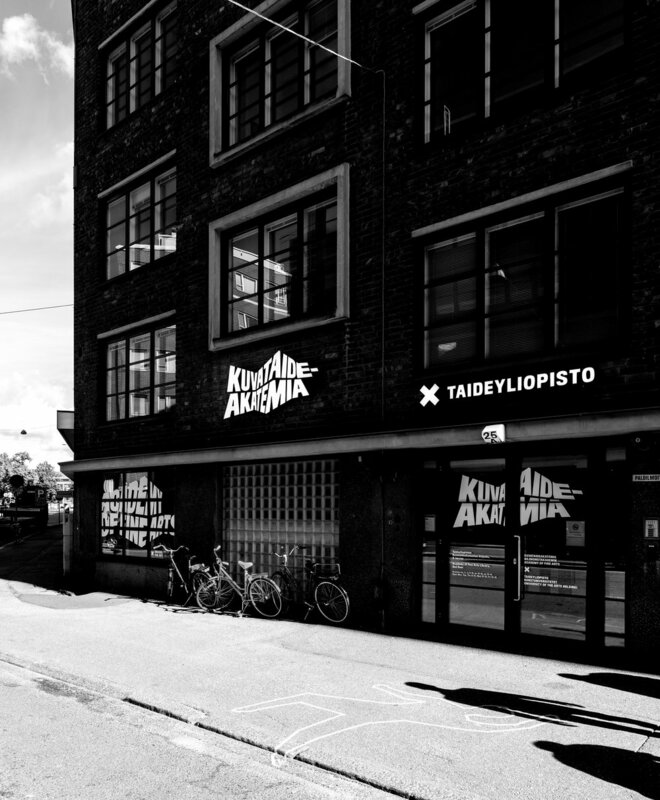 For 160 years, the Academy of Fine Arts has offered the highest level of education in fine arts in Finland. The Academy of Fine Arts is part of the University of the Arts Helsinki; the operation of the Uniarts Helsinki began with the merger of the Academy of Fine Arts, the Theatre Academy Helsinki and the Sibelius Academy in January 2013. Instruction at the Academy combines theory and practice to support students’ artistic development. The curriculum emphasises individual instruction, allowing students to receive sustained personal guidance while working independently. The Academy of Fine Arts maintains a dynamic relationship with the world of contemporary art as the Academy’s teachers pursue active artistic careers alongside their teaching work. Studies leading to the Bachelor’s and Master’s degrees are provided by the subject areas of Sculpture, Painting, Printmaking, Time and Space Arts (moving image, photography, and site and situation specific arts) and Joint Studies. In addition, the Academy of Fine Arts has Praxis – Master’s Programme for Exhibition Studies. Teaching languages are Finnish, English and Swedish. There are no separate study programmes in English, but about 15% of the students are international, therefore there is a vast selection of courses, seminars and lectures available in English.